If you like cooking and comics (and who doesn't?) I highly recommend my friend Vanessa Davis's latest work Kitchen Conniption. She calls it a "sloppy zine, all about the cuisinal arts." In true Vanessa style, it's funny, wise, and full of great stories. (You can see more of her work here.) It also contains tons of recipes (quick polenta, matzoh crack, West African ginger drink, honey beer bread), cooking tips, and other silly stuff. 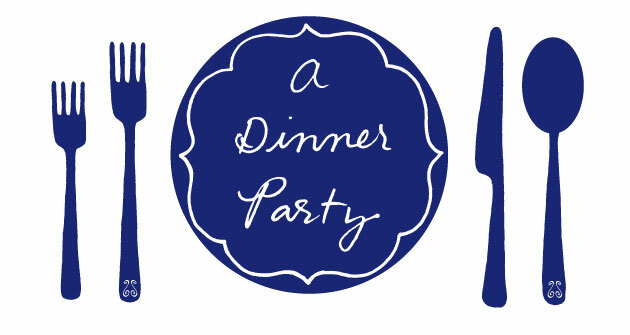 She also gives Dinner Party a shout-out, so I'm a bit biased, but it's really, really cool. Aww, thanks Lisa! A "Lazy Margarita" is all anyone needs to cure their Kitchen Conniption! I haven't looked at Vanessa's stuff in a while. It's so, so funny. I'm buying the cookbook right now. Casey: Ha! Yes, I am officially fancy now. Jody: I agree. I wish Vanessa would put out a new comic every day. Or maybe several times a day? This looks great, but how do I download it to my e-reader?